The humble Shure SM57 is one of the most popular snare close mics for a reason — but it’s intended to work with other mics around the kit, not to deliver the perfect snare sound on its own! I’m just getting into recording drums (only using cymbal, kick, snare and tom mics so far), but I’m having real trouble getting a good snare sound. Loads of people recommend putting up an SM57 on the snare drum, but it just sounds dull and lifeless when I try to do that. Any tips? 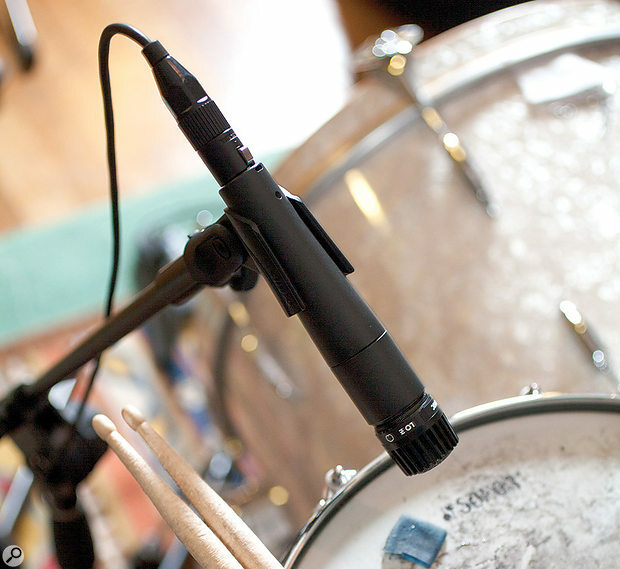 SOS contributor Mike Senior replies: You’re right that an SM57 close mic is often recommended — and with good reason; it’s easily the most commonly used snare mic professionally. However, you need to realise that much of what you hear as ‘snare’ on records isn’t just the sound of that close mic — it’s the sound of that mic in combination with others. 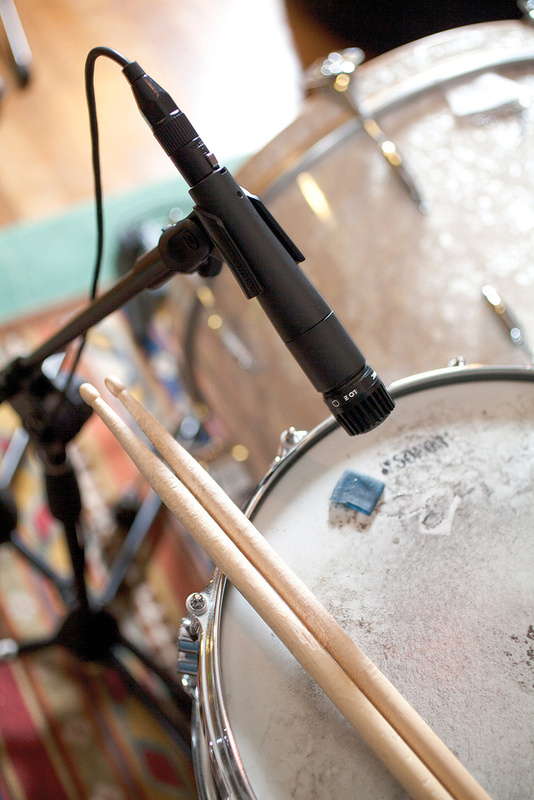 The problem with a close mic over the snare is that it tends to be strong on pitched resonances and attack, but short on other things that are often important in a snare sound: harmonic richness and width from room reflections, the rasping sustain of the snare wires, and the appealing body of the shell tone. On a professional level, the solution to this is less to do with the snare mic itself, but rather a question of using other mics to fill in the timbral gaps. So there might also be another mic underneath the snare to capture the wires, or a mic nestled between the kick and snare on the front side of the kit to capture more shell tone. It sounds to me as if what you’re currently doing is setting up just one of the mics from such a rig, so it’s not too surprising that you’re getting only a fraction of the sound you’re hoping for. However, I realise that you may not have that many mics (or indeed recording channels) to play with at the moment, so here are a couple of suggestions that may help to start with. Top of the list is to increase the amount of snare sound in your cymbal mics, because their slightly more distant position will almost always capture the instrument with a more natural and well-balanced sound. In other words, try pulling those mics more towards the drummer, or even a little behind his head, and pointing them towards the snare rather than the cymbals to take advantage of the mics’ brighter on-axis tone. A more distant snare-miking position can help too — even two or three inches more distance makes a big difference to how natural it sounds. Although you might get a bit too much hi-hat spill that way, it’s usually easier to deal with that (using a bit of gating) than trying to EQ a useful snare sound out of a mic that’s too close.